Mayfair. Belgravia. They may be located in London, but those names are internationally known when it comes to retail. As is the name of their management company Grosvenor when it comes to property as a whole. With 300+ years of history behind it, Grosvenor is no stranger to change. As the way we live and shop continues to do so, the company is focusing on adapting to meet the demands of the future. Can you give us an overview of Grosvenor and your role? Grosvenor is a global property business active in 60 cities in 12 countries. Our property development, management and investment portfolio includes our London estate of Mayfair and Belgravia. My role as Director of Placemaking for the London estate, is all about futureproofing our estate and ensuring that it responds and adapts to the current and future needs of the people who visit, live and work in it. We’ve been around for over 300 years and we want to be around for the next 300, so we want to make sure that the estate retains its social and commercial value for the long-term. Our UK portfolio is worth about £5.2 billion, we’ve got 534 retail units on our London estate and our passing rent is about £45 million. Our strategy is a district led approach to create amazing places that people want to visit. Our long-term approach also applies to our retail tenant mix – we want to create a world-renowned experience-led retail district for shoppers of the future. How is the estate changing in terms of the spaces and tenants? We have confidence in bricks-and-mortar stores – we don’t believe that the high street is going to become redundant. Going forward, the interaction between online retailing and the physical store is going to be significant with stores having to offer convenience and experience in equal measure. Landlords will also need to adapt to provide more flexibility, allowing their tenants to be innovative in the way that they use their spaces. Last year, we let a whole building to Matchesfashion.com as a retail maison in Carlos Place, Mayfair. They have retail on the ground and first floors, private shopping and fitting rooms on the second and third floor, and on the fourth they have a beautiful, rotating café which changes depending on the brands being showcased on the lower levels. This layout is a great example of how brands can use their stores to sell their product, whilst also giving customers a unique and personalised experience. What are you doing to innovate and to drive the estate forward? We see ourselves in partnership with our retailers – when they’re open and thriving, we thrive too. Last year, we launched a £1 billion, 10-year investment strategy to create new office and retail space, alongside our commitments to improve the street-level environment, green spaces, cultural events and visitor experiences. My team includes the retail and office team, sustainability team, marketing and heritage and planning so how we work together is important to ensure that we are creating and adapting destinations that attract and engage a broad range of people. We’re constantly trying to improve and adapt in order to be London’s retail landlord of choice. This includes supporting young retailers with pop-ups who then may eventually take permanent spaces on the estate or working with our current retailers to create a bespoke experience for their customers. Our new Retail Concierge Service is another example of how we are innovating to support retailers. The ethos behind this is to help younger more embryonic and independent brands, whether they’re pop-ups or permanent, to take longer-term lettings. 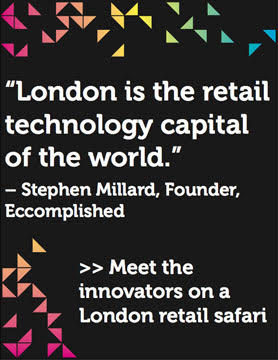 We want to guide and support them through every step of establishing their first store in London. As part of this service, retailers will have a dedicated property manager with whom they can discuss launch support and facilities management. We have a utilities team who can help them open an account for utilities such as gas, electricity and Wifi. These may sound like simple things, but we’re often trying to attract brands who are often opening their first store so we want to offer our expertise wherever we can and make the process as easy as possible. The Retail Concierge Service also helps them on hand-over days and supports them pre-launch on practical items like finding cost-effective but reputable security, decoration, furniture hire, a handy man, designing shopfronts and marketing services. We provide ongoing support, which could include cleaning, window cleaning, handyman services and recycling waste collection. Just before Christmas, we trialed a department store model. It was a pop-up unit where brands only had to bring their products and a handheld device for taking payments. We handled all other aspects. We designed it, we dressed it and we put in the rails. We held a launch party for them and managed the marketing and PR for the store. It ran for a month before Christmas in our busiest period of the year. We really want to work more closely with our retailers to break down the barriers to taking physical stores. 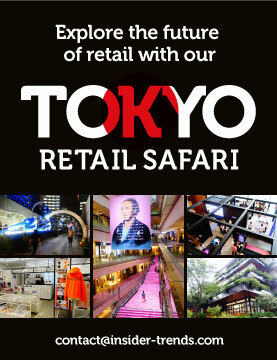 I’d love to say we’d actually be able to do a permanent department store in the future. I think one of our lessons learnt from that is we want to collaborate with more people to help us create the space and manage it as it is very time intensive – We’d also like to help streamline the legal processes involved in setting up a retail store. In the UK, the bureaucracy behind it is very complicated so we are working to see how we might be able to make it more straightforward. This will not only benefit small businesses but larger, national retailers too. 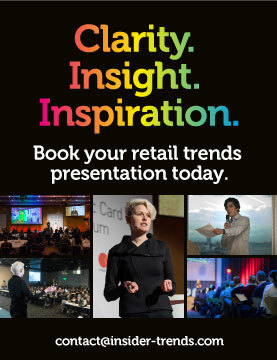 What other developments are impacting retail? We recently committed to a £2 million investment in improving the West End’s digital connectivity. It is the UK’s first co-investment partnership between a major landowner and a digital network business, OpenReach. Amazingly, the West End and parts of our estate were in the bottom 5% for connectivity in the country and this will put us in the top five by upgrading to superfast and ultrafast broadband, and ensure we have 4G on the streets and the public has free access to Wi-Fi across the estate. It’s not specific to retail but that’s is critical for us in terms of futureproofing the estate and making it business and consumer friendly. How is your approach to your role as landlord changing? The landlords that are going to be successful will be those who are willing to adapt and work in partnership with their retailers. Landlords used to be fairly passive, simply waiting for their rent to come in but it’s changed so much and retailers expect more. We see our relationships with tenants as partnerships their success is our success. Building on that, we’re looking at how we can all benefit from sharing data more, for example with retailers. It’s amazing the insight you can get now and if we can share that with our retailers and tell them the types of customers that are coming to our streets there’s huge benefits for both parties. We also know it’s important to invest significantly in cultural programmes and destination marketing. Even now, when the retail market is tough there is more of a requirement for a robust cultural strategy that brings people to our retail destinations for more than just shopping. Last year, we partnered with the V&A for their Frida Kahlo exhibition. We hosted lots of pop-up shops across Belgravia and which we linked with Belgravia in Bloom, our annual flower festival in the area. Belgravia looked incredible and generated a lot of buzz which attracted a new type of visitor to the area. Events like that have such a strong link with retail. By marrying culture, retail and art, it really helps the success of our retail streets, allowing people to shop, dwell and see public art all in one place. I think that’s really exciting. What does the future of retail look like to you? Retail isn’t dead – it just needs to be different. It needs to adapt to the changing world around it. Our aim is to make the estate more appealing to more people so there’s more choice for everyone. We see the way to do that is by speaking to retailers and working with them to create an environment where they’re going to thrive – we also want to understand our customers better. We’re not a retailer but we can create a platform to support them and the more we can do to do that the better. We’ve recently let a beautiful deconsecrated church on North Audley Street to the sustainable food market, Mercato Metropolitano. I’m hoping it will attract a huge amount of footfall because locals can go there, but it’s also a visitor attraction and it will be very affordable – not something you’d expect in the heart of Mayfair. I think that it’s really important to have a strong retail mix to attract a wide range of shoppers – from high end to high street. 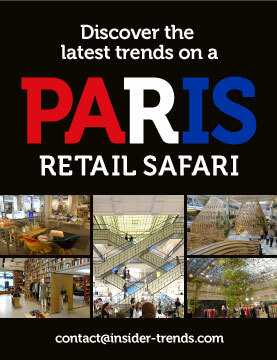 For successful retail destinations, that has now become the norm. Relationships with other sectors are also important. Eccleston Yards in Belgravia is a creative hub with co-working, fitness, retail and a very creative tenant mix. It’s all about the mix and how people live and work now. I don’t think retail can be just looked at as retail now, it’s actually a combination of so many different things. Just why does physical space still matter in retail? 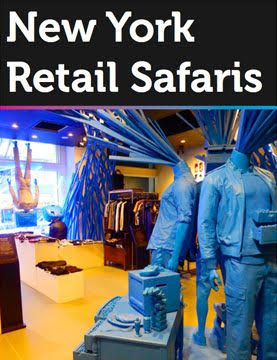 Find out here or see the latest trends for yourself by joining us on a London retail trend tour.